Corbin Bleu Visits Seacrest Studios And Talks About His Love For Cooking! 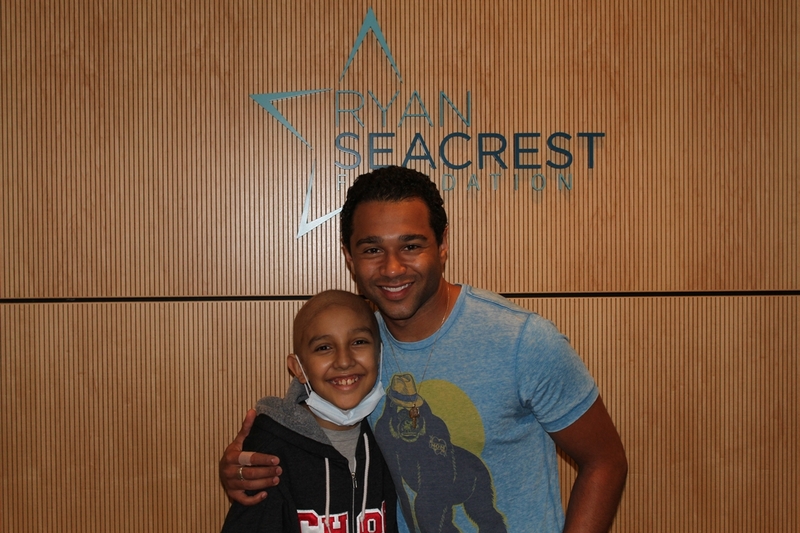 High School Musical Star, Corbin Bleu visited Seacrest Studios at CHOC Children’s Hospital to spill about being an actor on his extremely successful Disney Channel movie series, being a contestant on Dancing With the Stars, and more! Corbin also came to visit with children and their families where he lit up the room with his bright smile and infectious personality. The patients were very excited to ask him a bunch of questions during his interview. The singer, actor and dancer reveled that he still keeps in touch with his old High School Musical castmates and can’t wait for a reunion. He also spilled that if he wasn’t an actor, he would want to be a pediatrician! Corbin told us that his fans would be surprised to find out that he loves to cook and his favorite cuisine to cook is Italian. Check out the full interview! Written by Seacrest Studios Intern Alex Biston.